William W. Higgins, a native of Dexter, Maine, moved to Modesto in 1910 and became involved in musical activities. 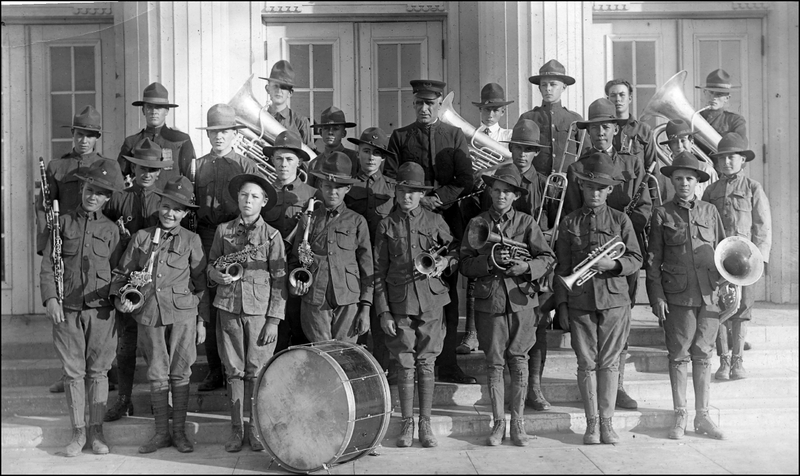 In June of 1919 he formed a band that was the Modesto Band of Stanislaus County, now known as MoBand. In May of 1920 he recruited a group of boys to form the prize-winning Stanislaus County Boys Band. 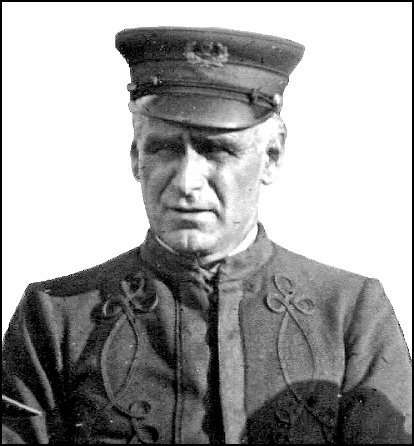 When Higgins died in April of 1922, Frank Mancini took over as director and led the Boys’ Band to win many more band contests and reach national recognition. In Tinkham's "History of Stanislaus County," there is a more in-depth look at William W. Higgins.Tinkham calls him,"the popular tenor who enjoys the fame of one of rare natural musical gifts and exceptional training." He also says that Higgins was born in Bangor, Maine on January 20, 1866 (It was actually Dexter). His mother was "a lyric soprano, and was a noted singer throughout England, and was doubly interesting as a descendent of the famous Misreal family of Spain." Music was not Higgins first duty, however. He apprenticed as a machinist for four years. In 1894 he moved to Chicago and entered the service of the National Biscuit Company (now Nabisco), and he "helped to produce the first Uneeda Biscuits." Because of health problems associated with his job as an operating engineer for the R.T. Crane Pipe Company, he moved to California and settled in the Modesto area. In 1912 he joined the Modeto Creamery. He had patents for several inventions involved with his job that allowed him capital to invest in Stanislaus Creamery. Tinkham states that Higgins married in Chicago and his wife was an accomplished pianist and pipe organist, who served as organist at St. Stanislaus Catholic Church. Mr. Higgins is also an accomplished musician. He was second musician and assistant leader in the Seventh Regiment Band in Chicago . . . He is the leader of the Modesto American Legion Band, which has thirty pieces, and he is also leader of the Modesto School Band of sixty pieces, accomplishing such good work that in September, 1920, he was able to take first prize at the State Fair and in 1921 again took the first prize at the above-mentioned fair. He is a fine tenor singer and as leader directs the St. Stanislaus Church choir." William Higgins died April 1, 1922 of complications from tuberculosis, according to information on the website Findagrave. He is buried in Modesto Citizens Cemetery. Though he is not often referred to in the annals of Modesto history, he can be listed as the father of MoBand and was able to fortuitously enlist Frank Mancini as his succesor when his health caused him to give up the music he loved.